A Must-Have Hair Mask - Be Glossy In and Out! 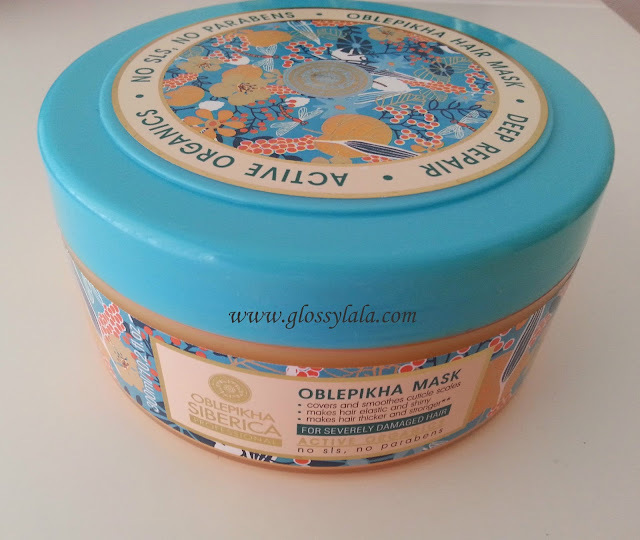 I have discovered some time now the hair products from Natura Siberica and I really believe that the Oblepikha mask for severely damaged hair is the best hair treatment I ever had. I don,t use it because I have a damaged hair, but more like a protection against heat exposure during hot styling and I love the texture it gives to my thin hair. It is also suitable for the summer period when the hair needs extra protection. It covers and smoothes cuticle scales, makes hair elastic and shiny, makes hair thicker and stronger. Penetrating into each hair, the mask fills it with essential moisture and nutrients, bringing back health and beauty. Vitamins and amino-acids in the formula nourish and repair hair, oils of Altai sea-buckthorn and Moroccan argan help produce keratin, which gives hair shine and strength. Oils of pine nuts and macadamia retain moisture deep in hair structure. Keratin seals hair surface with a protective layer, repairing damaged areas and smoothing hair out, and rendering it shiny and neat in appearance. After using the mask, hair becomes visibly more bouncy and tame. Apply it 5-7 minutes from roots to the ends after shampooing and then rinse thoroughly. I use it 1 time per week. Use it with confidence as it is a natural product, parabens, SLS, SLES,PEG, glycols and mineral oils free. It comes in a 300 ml jars, which will keep you around 6 months. Its price is 14,40 euro, discounted from 16 euro. 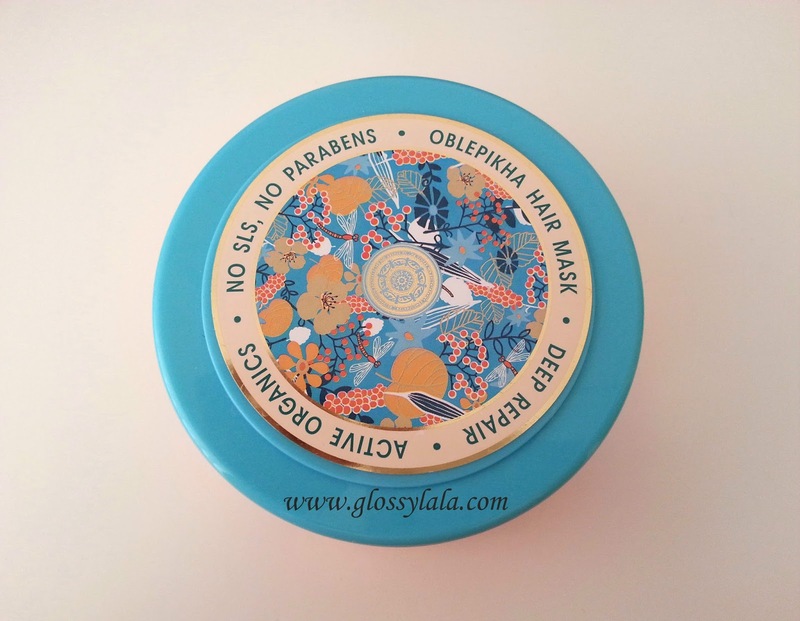 Did you use this mask? What is your opinion about it? This sounds like a great way to tame hair and give it that extra oomph!